At The Fresh Music Page we don't visit the Blues much but sometimes you have to go to your roots. Blues was a big influence on Gospel music and of Gospel on R&B. 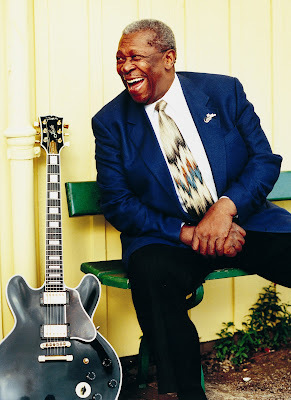 These are our roots and who is better to take us there but the reigning King of Blues, BB King! This is my favorite song from BB King - Don't Answer The Door he sings: "Now if you feel a little sick baby and you know you're home all alone, I don't want the doctor at my house baby, you just suffer until I get home."